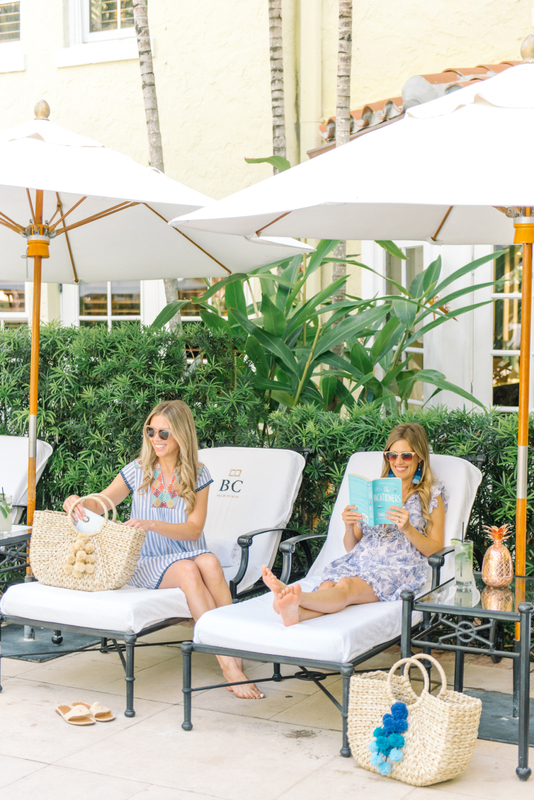 We recently had the pleasure of meeting Letarte Luxe’s new CEO and Creative Director, Alison McFerran <you can read more about her in this post>. 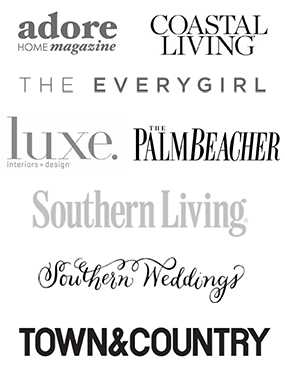 She has been working very hard behind the scenes and is so excited to share her first capsule collection at Letarte! 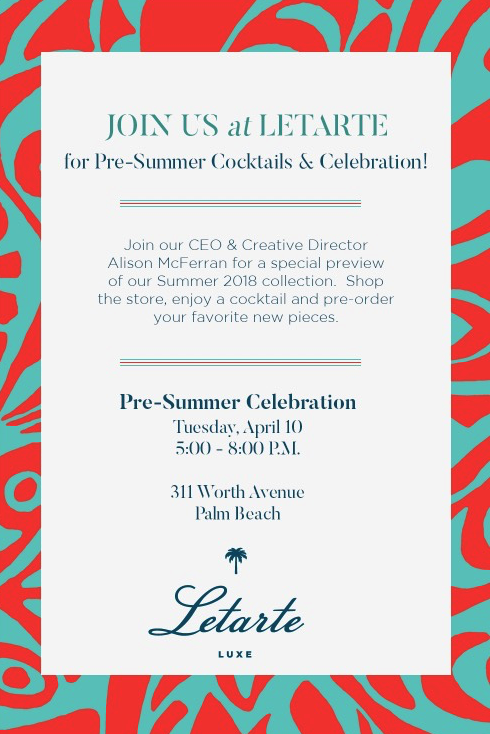 From Marin County to Palm Beach, Alison designed her first Letarte collection from two decades of West Coast influence while staying true to her East Coast roots. 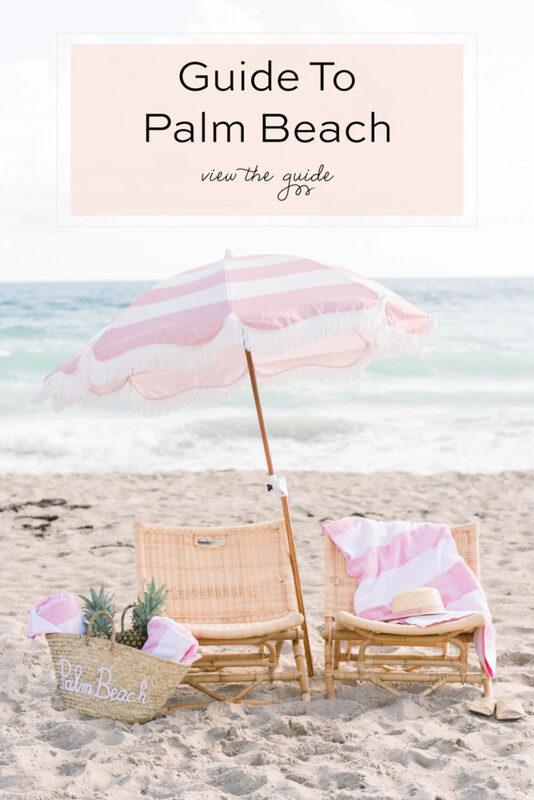 Palm Beach has a special place in her heart, from coming to work with Lilly Pulitzer at her home years ago to being the recent location for their latest lifestyle shoot with photographer John Antonini. Statement prints, versatile silhouettes and signature accents help these pieces embody the Letarte lifestyle; adventurous, chic and always tasteful. 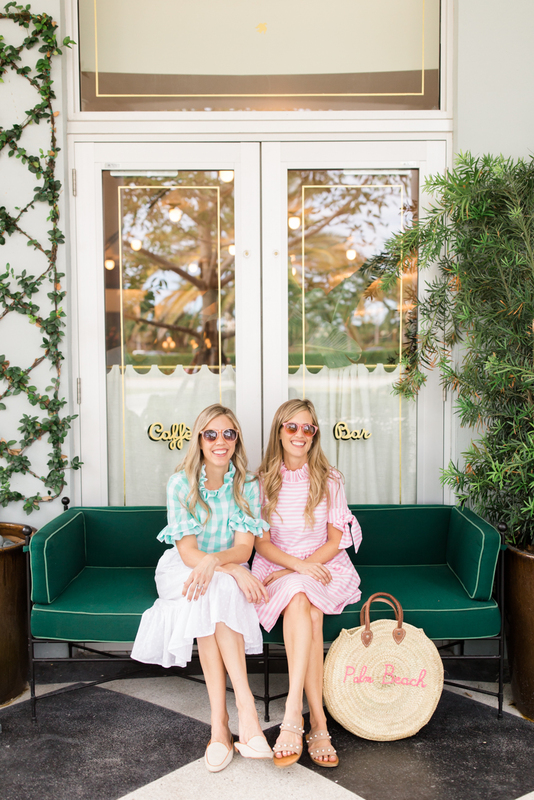 We recently had the pleasure of previewing her new collection and absolutely love all of the pieces, especially the ones we wore to The Brazilian Court’s beautiful pool last week! It’s great to see some of their most popular archived patterns being reintroduced with new silhouettes to make them completely new. Beth: I love the new Jungle Blues pattern that Alison created for Letarte! 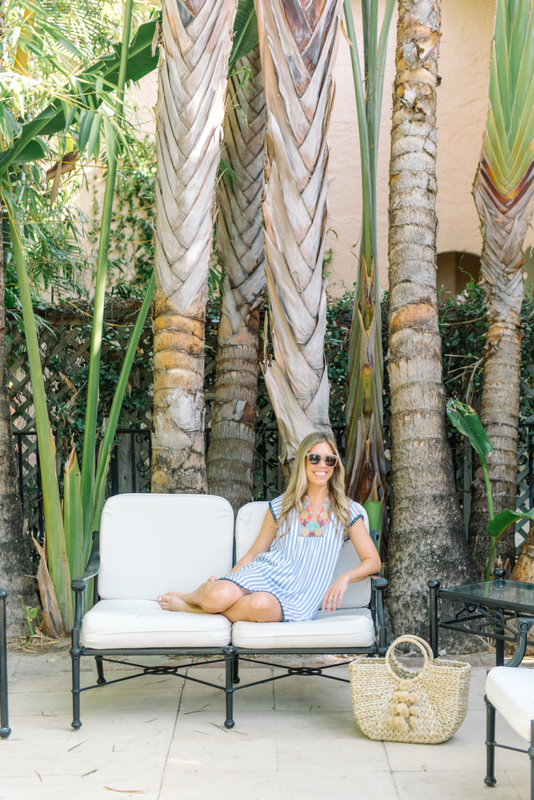 The whimsical elephant jungle print comes in both this cute cover up and bikini <top here and bottoms here>, which make a really cute set for the pool, beach or boat! 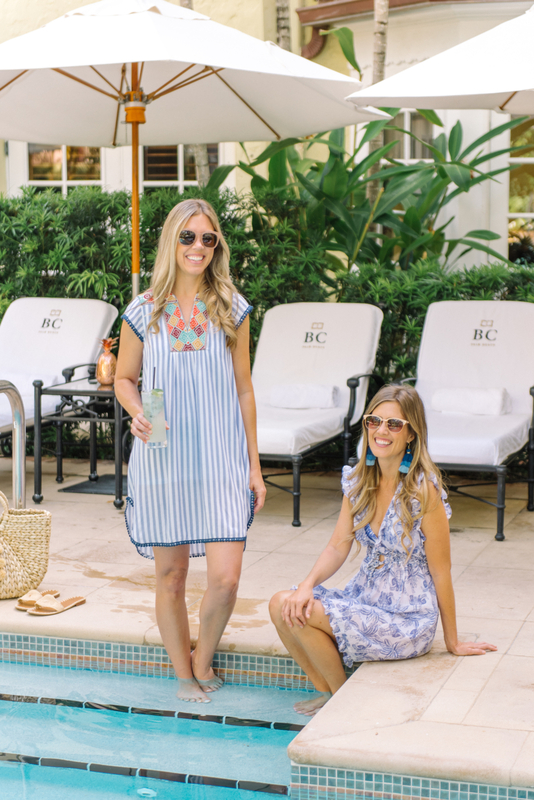 Danielle: Alison’s new Cabana Luxe Dress is one of my favorite new pieces thanks to the stripes and embroidery detailing. It’s so comfortable and looks great over their flattering new South County One Piece! 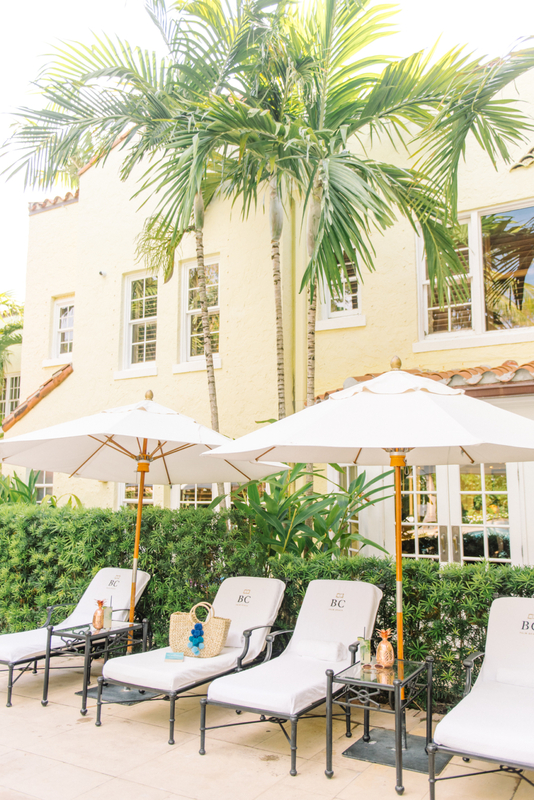 Weekender: Letarte Is Heating Up Worth Avenue!